Associate Attorney Philip "Shad" Shadwick - The Bussey Law Firm P.C. Philip "Shad" Shadwick is an associate attorney at The Bussey Law Firm, P.C. Mr. Shadwick has years of legal experience in both the civil and criminal arenas. He is a native of Sugar Land, Texas, and graduated from the University of Texas, Austin, in 1989 with a degree in Government. After graduating from the University of Texas, Mr. Shadwick worked his way up the corporate ladder at Farmers Insurance. He began his career as a property claims adjuster. He worked several large catastrophes across the country before moving into liability claims. In this capacity, Mr. Shadwick supervised a team of liability adjusters where he was responsible for analyzing coverage and liability issues, evaluating a claim’s worth, and developing negotiation and litigation strategies. Mr. Shadwick has handled many insurance claims, both small and large, and his breadth of experience working for a large insurance company is an invaluable asset for The Bussey Law Firm, P.C. In 2000, Mr. Shadwick became a commercial underwriting manager. He and his team evaluated commercial risks across Colorado, Wyoming, Nebraska, and the Dakotas. He is well-versed in how insurance companies treat corporate exposures and how they insure those exposures. In 2004, Mr. Shadwick moved into a personal lines underwriting management position, where he and his team evaluated personal risks such as home, auto, and umbrella policies. These experiences now provide Mr. Shadwick with the knowledge to identify possible avenues of recovery for his clients. Mr. Shadwick graduated from the University of Montana School of Law in 2010. After graduating, he worked as an associate attorney for Paoli Kutzman, P.C., where he gained experience in litigation representing plaintiffs. 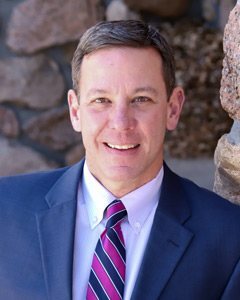 Mr. Shadwick’s cases included personal injury, wrongful death, insurance, employment, banking, trucking, horse wrecks, pedestrian and bicycle, product liability litigation, civil rights, construction defects, and criminal representation. Among others, he has litigated cases against some of the largest insurance companies in the nation, banks, BNSF, CenturyLink, and Johnson & Johnson. In 2014, Mr. Shadwick started his own law firm, the Shadwick Law Firm, PLLC. At his law firm, Mr. Shadwick handled both criminal and civil cases, including complex federal cases involving drugs and guns. On the civil side, he litigated commercial disputes, real estate cases, insurance, and personal injury. Mr. Shadwick has the knowledge and experience to help his clients receive just compensation from a wrongdoer, whether that be an individual or a large corporation.